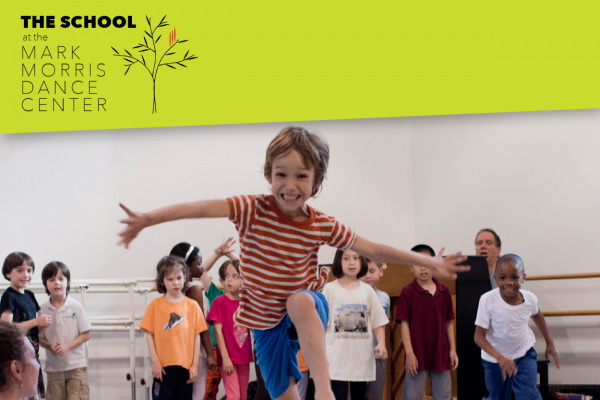 The School at the Mark Morris Dance Center offers year-round, community-based dance classes in a fully inclusive and nurturing environment, in the heart of the Brooklyn Cultural District. The School’s diverse and professional faculty provides progressive instruction accompanied by live music. Our non-recital approach allows for non-competitive and focused training, with opportunities for students to perform and for parents to see their dancer in action. Learn more at mmdg.org/school. The School at the Mark Morris Dance Center brings the joy and benefits of dance with live music to students of all ages, with and without physical and developmental disabilities. All classes are inclusive. In addition, our Special Kids Dance classes offer smaller class sizes with optional parent or caregiver participation.